In loving memory of Joe Louis Stark. Joe was born March 10, 1931, in Leesville, Louisiana, to John Wesley and Lona Mae Peace Stark. He was born into a large family, one of nine children. Growing up, his father taught him how to work with lumber, work on the equipment and how to work hard. In the fifth grade, Joe quit school to work alongside his father in the sawmill in Louisiana. He developed a deep love of the sawmill business. Joe had a son early on, Paul David Stark. In December of 1957, he married Ruthie Dell Herod and, together, had six children: Elizabeth, Katherine, Warren, Frances, Eric and Leslie. He moved his family from Louisiana to Craig in the 1960s. He worked in the local sawmill for many years. That led him to build sawmills across the United States and Canada. He was a self-made engineer. 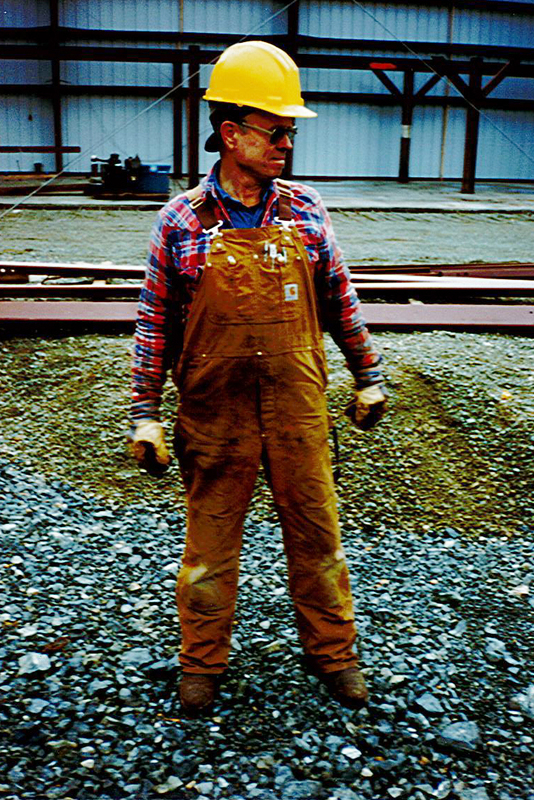 His love for working with steel was a big part of who he was. He was most happy when he was working. Joe was an avid hunter and fisherman. He loved Craig and the surrounding wilderness and spent a lot of time hunting with his nephew, Wesley Harralson, and his brother-in-law, Jim Hero, who were like brothers to him. Joe also spent countless weekends on hunting and fishing adventures with his sons. By the time they were 10 years old, his daughters knew how to shoot a rifle and bait a hook. Joe loved the campfire, a hot cup of coffee, pan frying a fresh trout and reminiscing about the moose or caribou hunt or the tie the big fish got away. He hunted and fished Alaska and Canada, as well. In the Northwest Territories of Canada he bagged a dall sheep with his lifelong friend, Harold Keller. The head mount was brought back and hung on the wall behind the bar at the Cosgriff Hotel in Craig for several years. It put a smile on his face to see it. Every season, Joe and his beloved horse, Beau, trekked the mountains near Craig, hunting deer and elk. During this time, Joe had a guide and outfitting business in Craig and made many friends in his clients, who came from all over to hunt. Joe really enjoyed Old West movies, particularly John Wayne westerns. Many family nights were spent huddled around the television with John Wayne, the smell of his pipe tobacco in the air. Often, vinyl records were played in the evenings during a cold winter, old country and bluegrass warming his heart. He taught himself to play the guitar, and he could carry a tune. The evenings spent listening to him play the guitar and sing were well spent. His children have many fond memories of that time in his life. Joe and Ruth were divorced later in life. He met and married the love of his life, Barbara Jean Stepp, and added a new chapter to his life. They married Dec. 15, 1990. She brought into his life his extended family: Dawn, Hoyt, Melinda and Rebecca and their families. He was very fond of all of them. He built a small ranch in Craig with Barbara. There were lots of steaks on the grill and family gatherings during his ranching days. 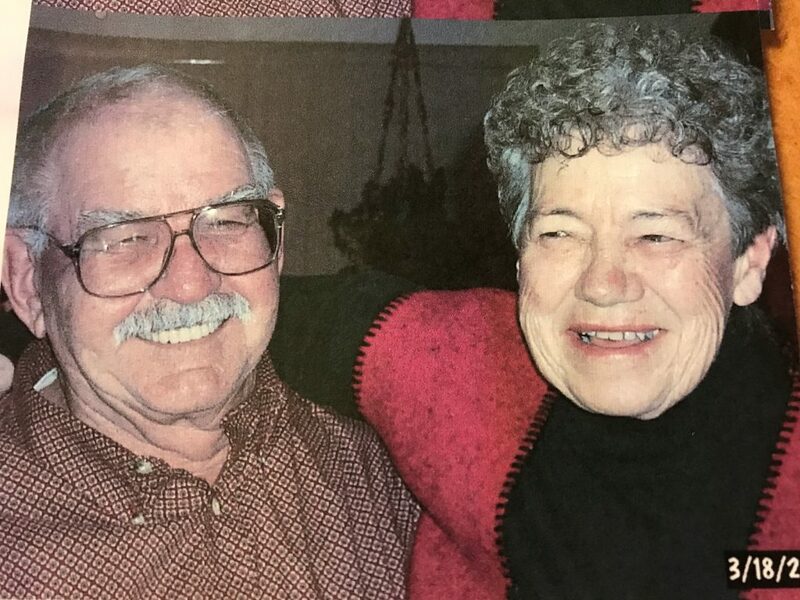 His extended family would come from Alaska and gather with his children and grandchildren, playing in the dirt, riding horses and branding cattle. Joe lived a life of rugged adventure, but had one last adventure he wanted to live. He wanted to live in Alaska. He and Barbara sold their place in Craig and moved to Soldotna, Alaska, where he lived out the rest of his life. Joe Louis was one of a kind. There were so many facets to him that there are hardly enough words or paper. He taught his sons the art of welding and his daughters a love of the wilderness. He taught his children and grandchildren that hard work was good for the soul and to know the value of a dollar. He loved his parents and his brothers and sisters deeply. He believed in God and loved his country. He loved to talk politics and watch football. He collected guns and had many. His favorite fishing pole was always handy. He loved a home-cooked meal, good chewing tobacco and a smooth shot of whiskey. He liked to work in the yard and working beside his sons. He loved his saddle, his cowboy boots and that old cowboy hat. He liked a hot cup of coffee and a cold glass of iced tea and sleeping under the stars. He liked to chop firewood and kept the fire burning in the woodstove, always. His word was an unbreakable contract. He had a kind and gentle heart. He was larger than life to the ones who loved him. Because of his rough exterior, he was a misunderstood most of his life and he knew. His family knew his gentleness and miss him every day. Joe passed away Jan. 29 at his home in Soldotna Alaska with his loving wife Barbara by his side. He is survived by his wife Barbara; his children Paul Stark, Elizabeth Reems (Mitchell), Katherine Holland (Howie), Frances McMann (Norman), Erik Stark (Sue) and Leslie Stark; his grandchildren John, Louis, Lyndsey, Lacey, Rachel, Ruthanne, Desiree, Zachary and Sharlena; his great-grandchildren Maya, Trent, Jasmyn, Nathan, Lily, Elliott, Preston, Trevor and Ryatt; his sisters Billie Sue Jordan and Dell Marie Ritter; and his nephews in Colorado, Texas and Louisiana. He is preceded in death by his son, Warren, his parents, John and Lona Mae Stark, and brothers, Robert Stark, Wayne Stark, Obie Stark; sisters, Willie Founcher, Jimmie Toney and Barbara Harralson; his nephews, Wesley Harralson, Robert Jordan, Jon Herod; brother-in-law, Jim Herod; and his lifelong friend, Harold Keller. His ashes will be spread on a mountain near Craig this summer with a small service. He will be missed and remembered, as always.